Information Our mission is "With Christianity as our foundation, we extend love to all God's children through a camping experience in a special setting". Sherbrooke Lake Camp is a fun, residential United Church summer camp for campers age 6-16. During a week at camp, campers experience canoeing, swimming, crafts, nature activities, games, music, hiking, campouts, campfires, vespers and so much more! Do not be alarmed if you come home with a huge smile, a full belly of great food, singing crazy songs, and full of memories and stories about new friends. Parents rest assured, all members of our staff are carefully screened and well trained. We are qualified, dedicated, responsible and enthusiastic. 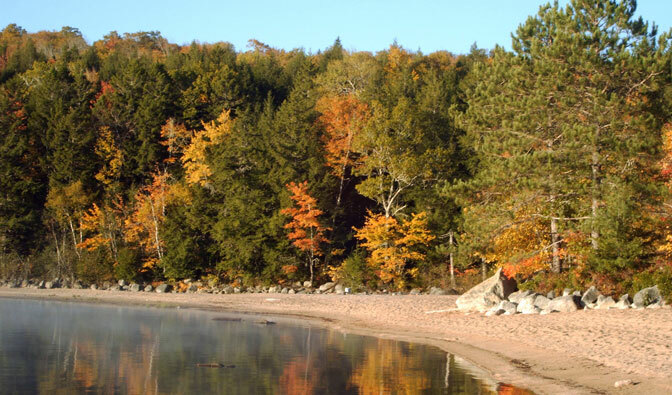 A 1000ft natural sandy beach on the 9 mile Sherbrooke Lake with Chapel Island and Campfire Point on opposite ends. Cabins to hold 8 campers & their counsellor(s). Large dining lodge where our home cooked meals are served. Large recreation centre for crafts and indoor activities. Many acres of wooded area and trails to enjoy.